This test equipment is used to test dosimeters and cartridges. The value is determined with a scale. Additionally, the ejection force is measured. A plexiglas housing with removable cover protects the balance from external influences. This ensures a reproducible measurement. 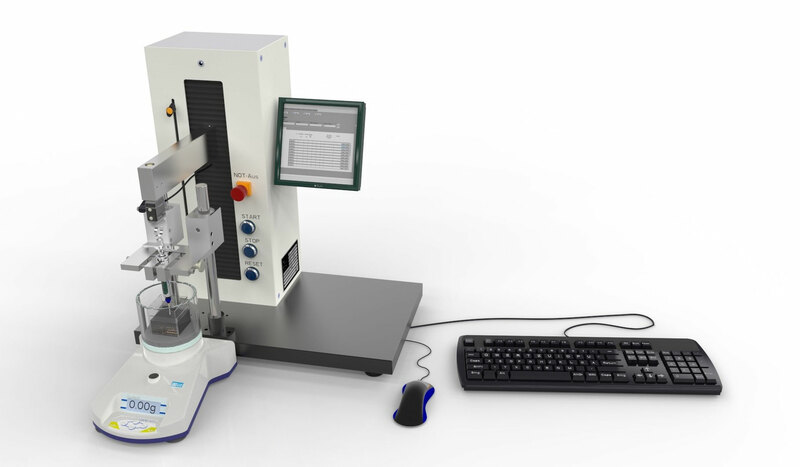 The maximum strength of the test facility is 100 N.
The application includes a clamping device, plexiglas case with a removable lid for a scale and expansion of the working space depth for the universal test maschine.